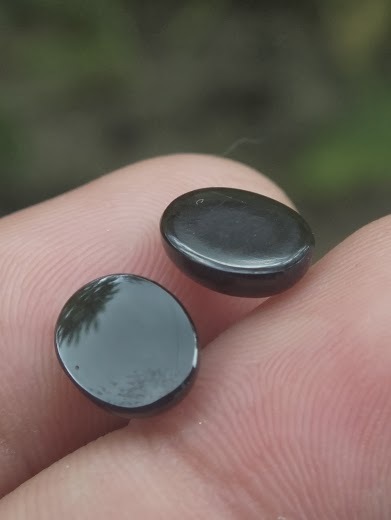 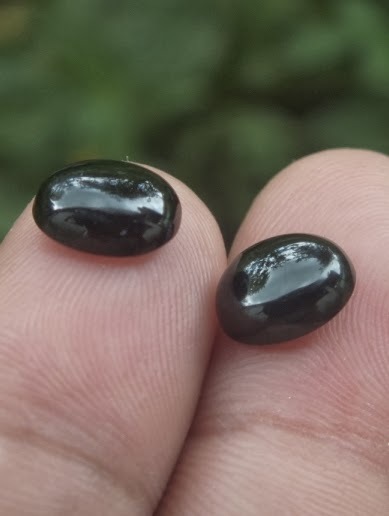 These are two beautiful Natural Black Onyxs loose stone. 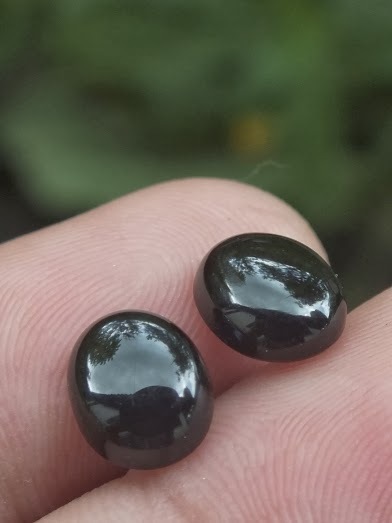 The color is dark shiny black and the clarity is opaque. 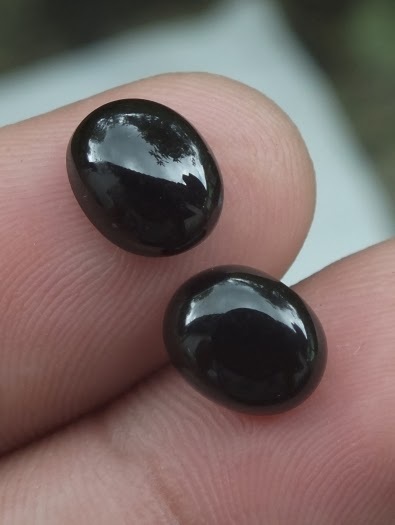 The size of both gems are (est) 9,7mm x 7,9mm x 4mm. 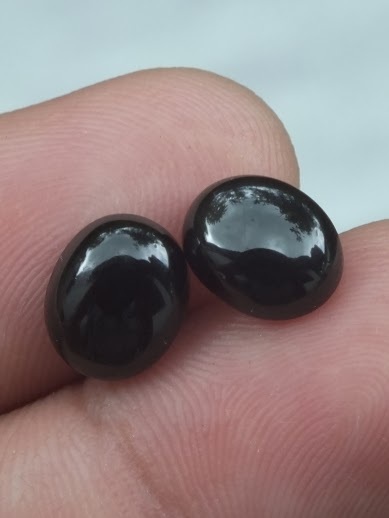 Get this beautiful Natural Black Onyx now!